The 7,053 yards, par 72 Diamond Course was designed by English architect Jeremy Pern, the once Vice President of the British Institute of Golf Course Architects. Opened in 2002, the Diamond course features water hazards on seventeen of the 18 holes, including the 192-yard 11th and 159-yard 15th par 3s, where both tee shots are played to island greens. If you manage to negotiate all of that, then you only have the 457-yard par 4 18th to complete, with water on the left of the fairway and out-of-bounds on the right! This weeks defending champion and local lad Bernd Wiesberger 7/1 is this week’s favourite and who can blame the bookies with the finish Bernd put in at the Nordea Masters with two final rounds of 64 and 66 respectively. Not the greatest odds, but I do think he will retain his Lyoness Open title, but I will give you a few other alternatives. Pablo Larrazabal 14/1 comes into this week in confident mood after another Top 15 finish, in fact Pablo has only been outside the Top 20 once since March and that came on home soil, maybe the pressure of the home crowd proved too much. But what those stats also prove is that Larrazbal has had four Top 6 finishes from his last seven events, I don’t think it will be long before the lad from Barcelona will be picking up the winners cheque. 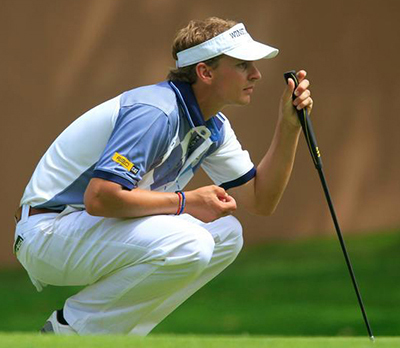 Another player on form is Dutch golfer Joost Luiten 20/1. Joost just missed out on a Top 10 finish at last weeks Nordea Open but he did open with two rounds in the 60s, but two final rounds of 70 saw him move down the leaderboard. Luiten has had five other Top 25 finishes this season, two of which were Top 10 finishes, so do look for him to do well on a track where he had a third place finish last time he was here. The Diamond Country Club seems to sit well in the eye of Emiliano Grillo 35/1 who had a Top 10 finish here last year, which was the Argentinians first season on tour after winning his tour card in 2011. 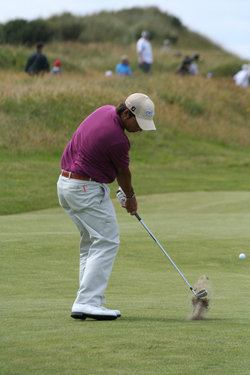 Emiliano has six Top 25 finishes from his last eight tournaments. He is still looking for his first tour win, but his final round 67 at last weeks Nordea Masters, with five birdies and no dropped shots, should see him tee it up here in confident mood. Another player who had five birdies in his final round last week at the Nordea Masters is Irishman Damian McGraine 50/1. Unfortunately he did have a bogey in his final round 68. Damian is another player who seems to enjoy the Diamond CC course, he had a sixth place finish here in 2010 and just missed out on Top 20 finish here last year by a shot. I think that combination should see the lad from County Meath do well here again this week. The same could be said of Magnus A Carlsson 50/1 who had a Top 10 finish here in 2011. Magnus has had three Top 20 finishes this season from eleven events and finished well at last weeks Nordea Masters with three birdies in his final 5 holes. I think the Swede could do well this week. 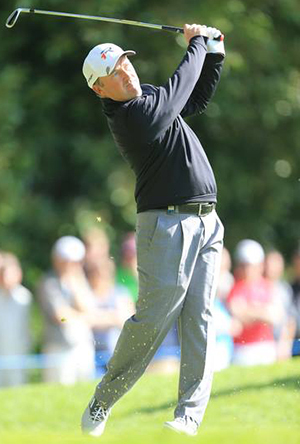 It must be tough living up to a name but Seve Benson 100/1 seems to be finally finding his feet on the European Tour. Seve has had three Top 25 finishes on the European Tour, one of which was a Top 5 finish at the Maderia Open; he also had a Top 10 finish on the Challenge Tour. Looking at the outside bets this week, this one stuck out because I think he’s playing well and he has shot a few low 60s rounds. I don’t think it’s going to be long before he strings four good rounds together.